The bacon, cream cheese and parmesan Dukkah Delight. Or Mama’s Inkunkhu crumbed chicken with harissa mayo, avo and onion rings. 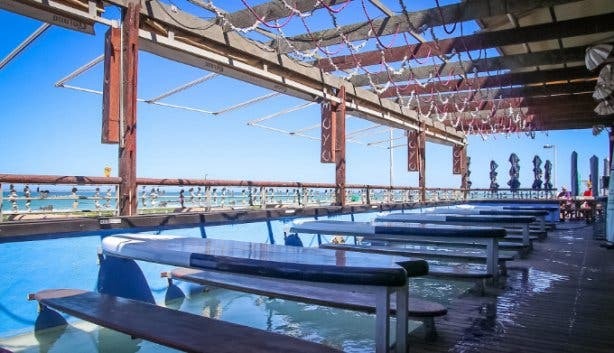 And, if you time it right, you and your friends can tuck in with your feet dangling in the water. 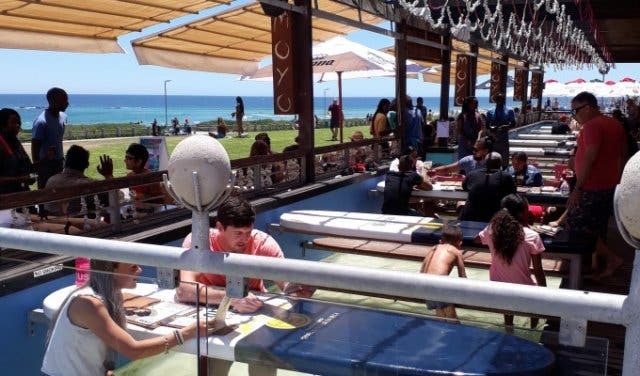 moyo Blouberg is a hidden gem at Eden on The Bay (at Big Bay), and Mondays are half-price burger day. 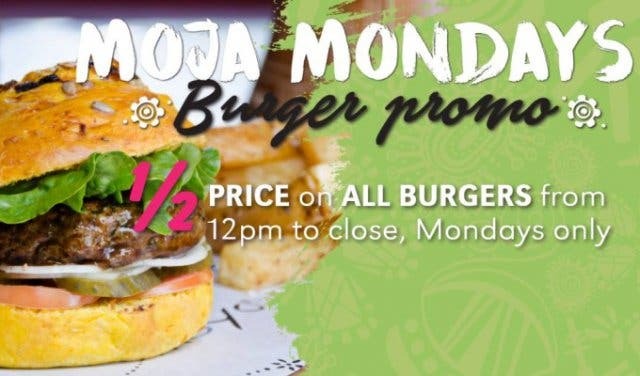 Every Monday from 12pm to 10pm, all Moyo’s burgers are half price. This includes the classic moyo Burger, a homemade beef patty with lettuce and tomato on a pumpkin bread roll, the Mama’s Inkunkhu, an African twist on a chicken burger. And the Dukkah Delight, made with the famous blend of Egyptian spice with cream cheese, bacon and parmesan. All of them in either a single or double burger. And all of them half price, all-day from 12pm on Mondays. Ever heard of an R&R? 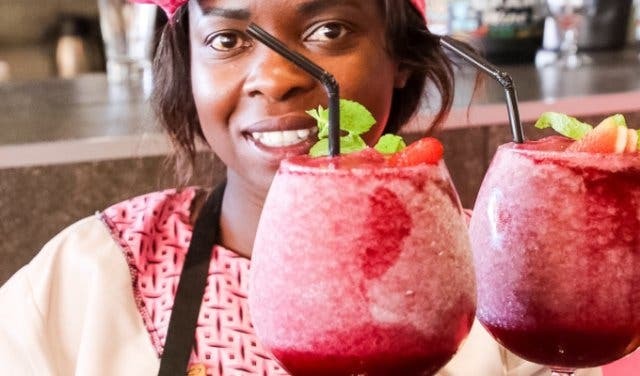 It’s a Mozambican drink made with Tipo Tinto rum and raspberry. Then there’s the Double Berry Blaze, the African Sunset and the Cherri Gin Smash. moyo at Eden on The Bay have four different cocktail menus, including the classics, cocktails by the jug, virgin and Moyo originals. Perfect for sipping at sundown looking out over the Atlantic – with your feet in the water, of course. And the decor’s worth checking out, too. Maybe you remember how all moyo restaurants had that same “traditional” African look – mostly shades of earthy brown and wood. 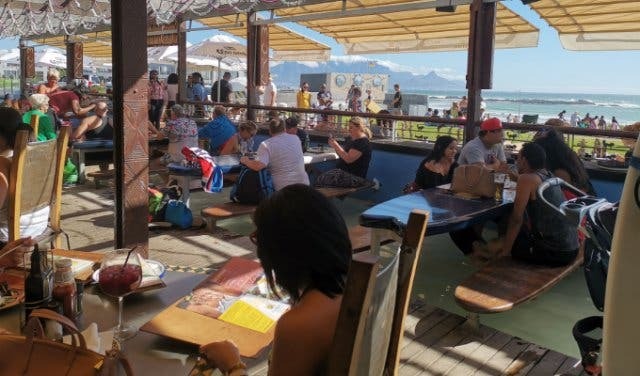 moyo Blouberg is one of the first to showcase an all-new urban African Moyo style, featuring a wrought-iron Red Bull bar, loads of vibrant colours, different decks and seating areas, and a tech-free kiddies play area (so feel free to bring the little ones along). 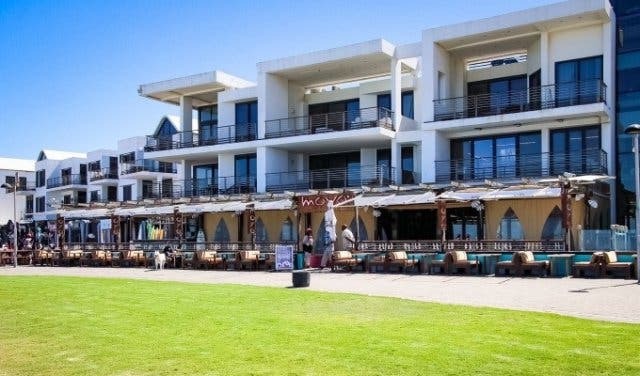 There’s something new to discover in every nook and cranny at Moyo Eden on The Bay. 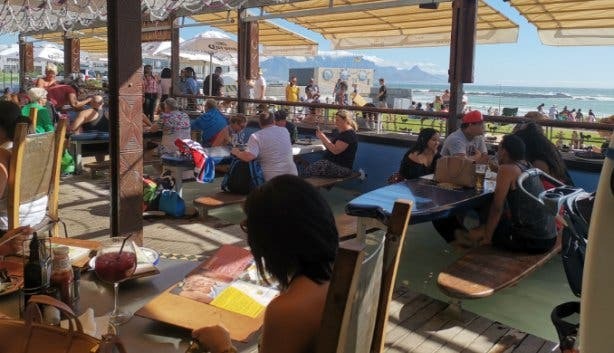 TIP: You might also want to pop in on a Friday when all their Classic-E Moyo Cocktails are R39 (usually around R79) and you can get any 500ml local draught beer for R25. 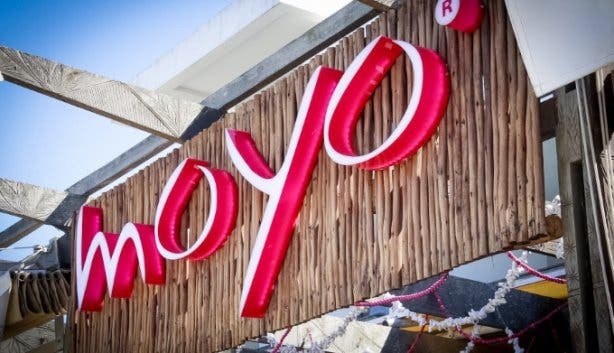 Discover after-work drinks at Moyo. PLUS: Pop in over the weekend when they have a breakfast buffet with bottomless tea or coffee for R150 and R65 for kids under 12 – children under 5 eat free. Find the perfect venue with our selection of unique and surprising places to have a function and special birthday party spots. 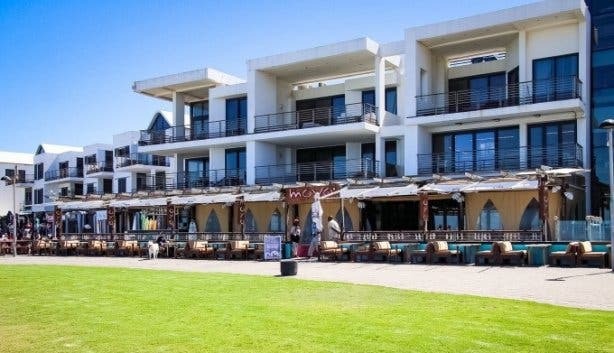 Alternatively, discover some exciting buffet restaurants and eateries with a sea view. 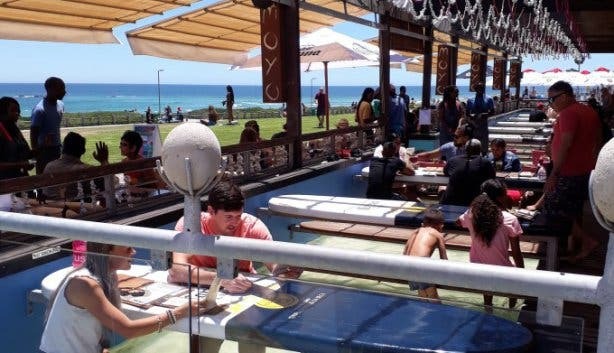 We also have a big selection of places with happy hours in Cape Town.